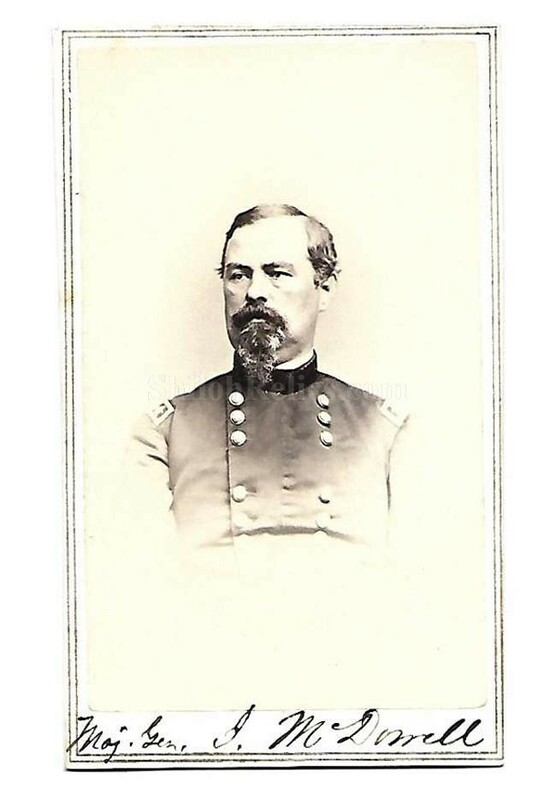 This is a great looking original Civil War era CDV image of Union General Irvin McDowell (1818-1885). The face of the card is a bust view image of the General in his General uniform with the pencil inscription identification down below. McDowell was born in Columbus, Ohio on October 15th 1818. He graduated from West Point Military Academy in 1838. He taught tactics at West point from 1841 until 1845. He served bravely during the Mexican War. On May 14th 1861 he was appointed tot he rank of Brigadier General. In march of 1862 he was advanced to the rank of Major General. He continued to serve after the Civil War. He was placed in charge of the Division of the Pacific in San Francisco until he retired in 1882. He is buried at the Presidio in San Francisco after his death on May 4th 1885. The overall size of a CDV image is approximately 2.5 inches by 4 inches in size. 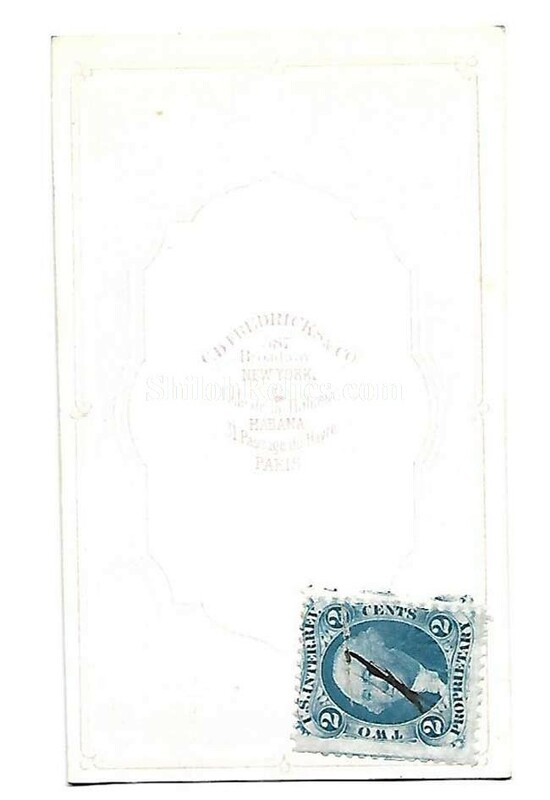 On the back of the card it has the photographer mark of the New York firm of C.D. Fredericks. It is a nice touch on an already wonderful image. This is a great looking image of one of the famous Union Generals.